A pocket-friendly place with warm and simply designed rooms to make for a pleasant stay. Located near PEC college, Hotel Kamal Palace is easy to reach and it welcomes all kinds of travellers. The rooms have a nice blend of all the light, dark and vibrant colours which makes it appealing and lively. The large curtains beautifully hangs over the windows too add a touch of elegance and charm. 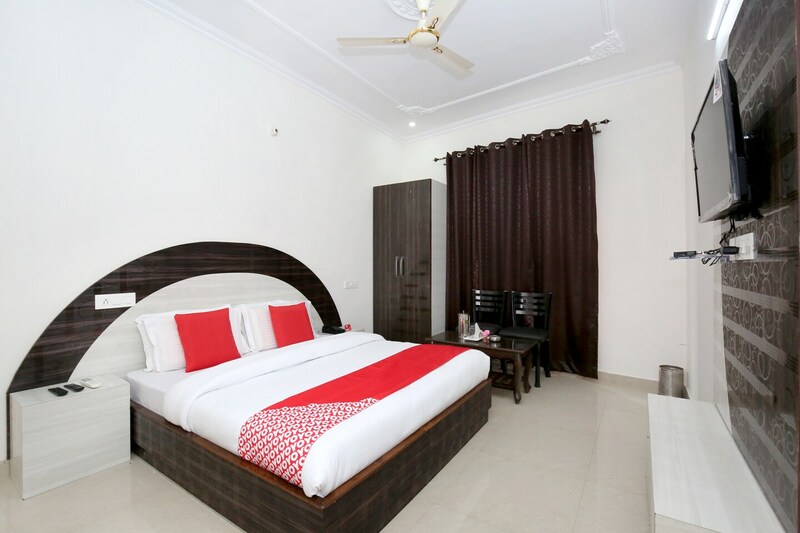 The rooms are well-furnished and has enough space for the residents. The bright cushions make the room look cheerful and pleasant. The hotel provides laundry services to its residents and it has parking facility too. Card payments are accepted here for easy and convenient transactions. CCTV cameras secure the campus for the guests.